The level and the type of pollution of a region are associated with the sources of pollution, as well as with weather factors of the place. 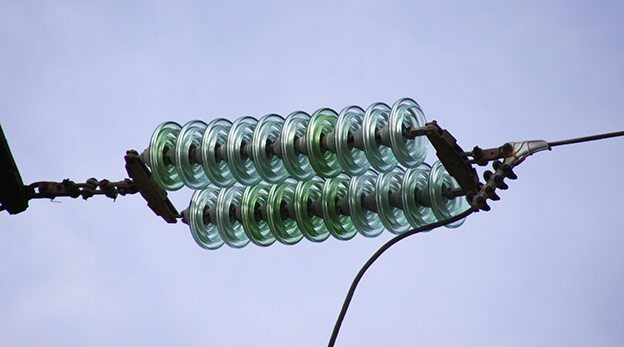 The pollution is placed on the surface of the insulator and a contaminant layer appears. The pollution can be caused by a great variety of sources, (sea salt, industries, ashes…). The wind is the main bearer of the particles, having a secondary role the gravity and the electric field. By the action of rain, fog, etc. … the layer on the surface is dampened and enlarges the conductivity. The contaminant layer dries. Thus, there is an increase of conductivity and leakage current. Dry bands are formed as a consequence of the warming-up of the layer on the insulator surface. Partial arches appear through the dry bands. Partial discharges are produced, these discharges produce audible noise. Finally, the total discharge is produced. So that the flashover can be produced these phases have not to happen consecutively but that several phases can occur at the same time. When the contaminated layer is dampened, the resistance diminishes and the current of filtration that passes through it is increased. With this increase, the temperature of the contaminant layer is elevated, and that diminish still more the resistance. The resistance will diminish until the temperature reaches the boiling point, beginning to lose humidity. From this point the layer resistance begins to enlarge little by little until its total drying. Then will reach the maximum value of resistance. This phenomenon is a lot more feasible in narrow parts of the insulator where the density of current is higher. The increase of the resistance makes the current diminish, but its formation implies that most tensions applied to the insulator appear through it, by being still humid the remainder of the layer. Title: Insulator Pollution In Transmission Lines – Ramos Hernanz, José A.